SWFL360 provides the best quality photography, virtual tours & marketing services. We specialize in panoramas for residential & commercial real estate, vacation homes, businesses & more! Servicing Cape Coral, Fort Myers, Naples, Bonita Springs, Estero - and anywhere else needed! Our Virtual Tours are made to impress, with color, clarity and detail. Our photographer will work with you to select the scenes that will have the most impact. The most recent listing that you did the tour on is already under contract. The buyers made an offer sight unseen based on the photos and the virtual tour. Nice job to all of you! Here you can find some tours we are really proud of crafting, and get a taste of what our professionally re-touched photography results in. 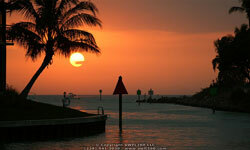 Located in Cape Coral, FL we serve all of Collier and Lee Counties in Southwest Florida - or wherever you need! We are always looking for enthusiastic and talented individuals.